I’ve updated the buy/download lightbox slightly for free games. 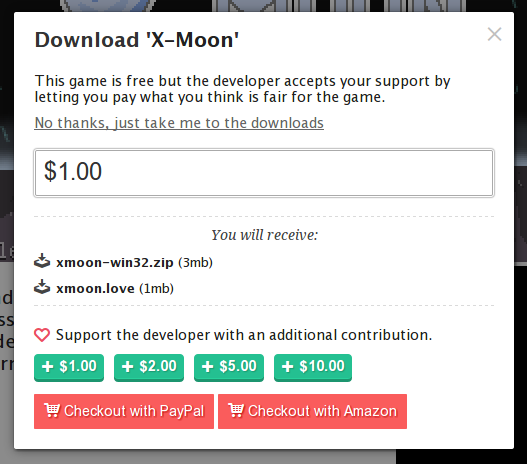 The old layout was a little aggressive about encouraging people to pay, with the messaging not clear that the game was free and the link to access the downloads at the bottom. The feedback I received is that the dialog might be unfairly tricking people into thinking you have to pay for the game. I made the text on top very explicit and moved the direct download link to the top. If you’ve got any more feedback or ideas feel free to message me.